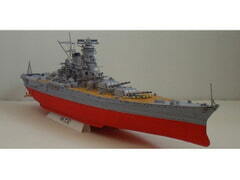 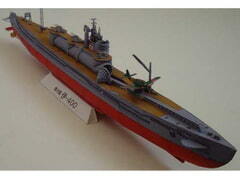 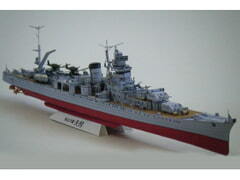 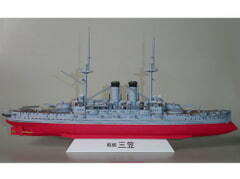 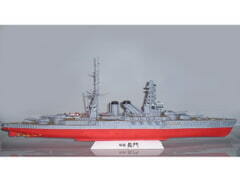 Paper craft model of the light cruiser Yahagi I-400 type, 1/400 scale. 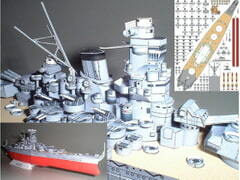 Paper craft model of the aircraft carrier Akagi, 1/800 scale. 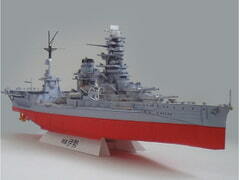 Paper craft model of the Yamato battleship, 1/400 scale.